It's the season of sunlight and that usually means we begin to see an increase in our blonding services. By creating highs, mediums, and lows in your hair color, whether it be natural or salon created, it helps create dimension and more interest in your hair. No matter if you're a traditional highlight fan or enjoy handcrafted balayage blonding, going lighter while safe guarding your hair's integrity is always the goal. Here we look at a simple regimen to help you have stronger, healthier, blonder hair. Davines NouNou: Shampoo ($26), Conditioner ($30), and Hair Mask ($34). Preparing and caring for your blonde hair is important and the first place to start is with your shampoo and conditioner. The blonding process can remove vital moisture and essential protein from your hair, which is why replenishing these is so important. Our recommendation is NouNou by Davines. This Shampoo, Conditioner, and Hair Mask trio nourish hair by using Fiaschetto Tomatoes. Fiaschetto Tomatoes are full of antioxidants and Vitamin C, which restore, invigorate, and protect your hair. Hair naturally wants to pull warm. During the blonding process, clients will often comment "My hair pulls warm" and this isn't unplanned for, this is part of the science behind hair color. This is why depending on your color goals a shine treatment is used to achieve your look. At home, your hair may want to revert to a warm, yellow or golden blonde and if your desire is for a cooler tone, Fanola No Yellow will banish that unwanted brass. By utilizing a blue / violet pigment, this shampoo is able to counteract yellow or brassy tones (yes, complimentary colors like the color wheel from kindergarten) and leave you with a neutral or cooler tone. Let No Yellow sit for 5-7 minutes before rinsing to enjoy it to it's fullest impact. You may really want to push the envelope and enjoy multiple blonding services. Typically, layering applications of lightener on top of previously lightened hair isn't the safest for maintaining strong, healthy hair as the disulfide bonds that hold the hair together begin to break down. Luckily, Olapex, a 3-step bond multiplier, can step in and act as an insurance policy. 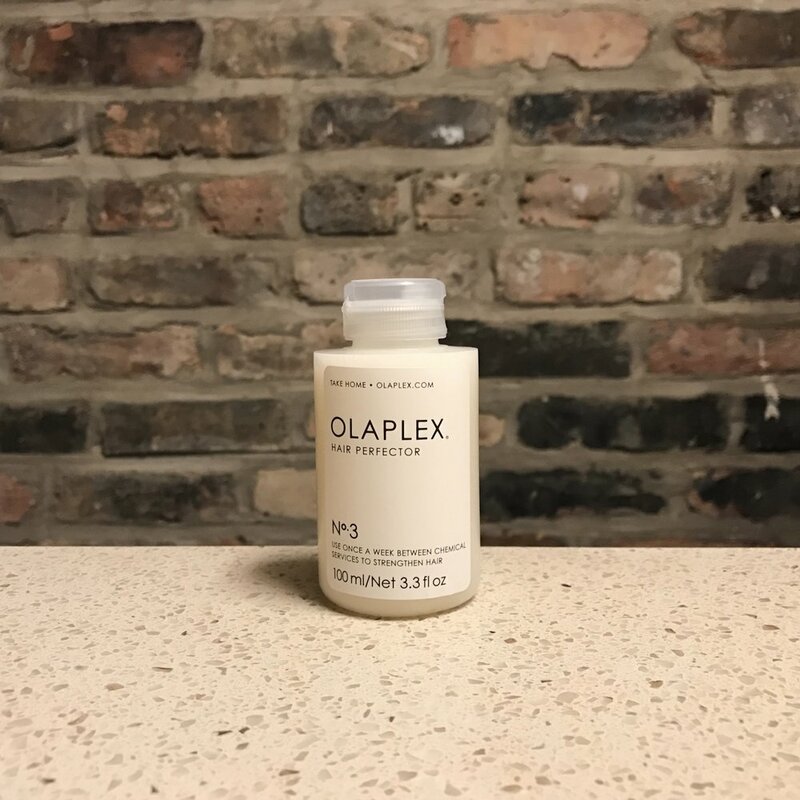 Olaplex can be added to any color or blonding service in the salon and features the first two steps as a color additive and wash house treatment to help prevent and restore hair damage. The third step is a Take Home treatment to be used once a week before shampooing and conditioning. There you have it, a regimen and understanding of the best practices to maintain your blonde hair; Prepare, Tone, Bond. So no matter if you're simply looking for a little dimension or desire a full platinum style, there is a safe, healthy way to make your blonde hair dreams come true.